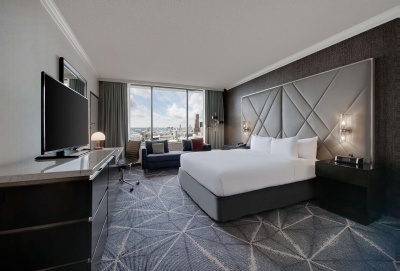 IEEE AP-S/URSI 2019 has negotiated a special group rate of US$175.00 per night for their attendees. This group rate is inclusive of service fees, but exclusive of taxes (currently at 16%). 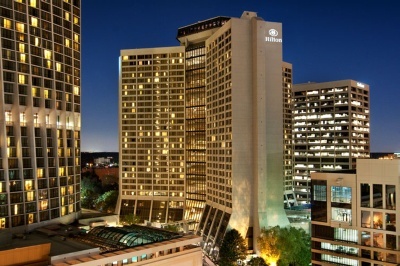 In additional to sales tax and occupancy tax, the Georgia State Hotel-Motel Fee of $5.00 per room per night will apply to all confirmed occupied rooms (anticipate a total of US$208.00 per night). Guest room internet access is included in the group rate. 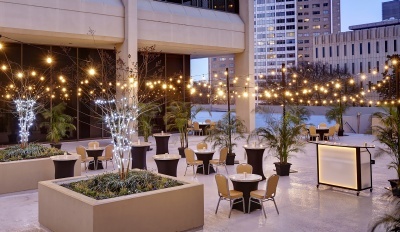 Reservations must be made by 5:00 pm Eastern Time on Thursday, June 13, 2019 in order to get the group rate. Once the room block is sold out, the hotel will offer rooms/rates based upon availability. To book your room online at the group rate, please click here. The hotel offers a limited number of sleeping rooms at the government rate. The current government rate in the state of Georgia is US$152.00, plus applicable tax. To book your room online at the government rate, please click here and select Government as your guest type. You will need to add this code, when requesting the government rate - IEEGOV0719 – and you will need to show your government ID upon check-in. Conference attendees must reference IEEE AP-S/URSI 2019 when making hotel reservations. The hotel offers self and valet parking. Self-parking rate is US$30.00 per day (space is limited). Valet-parking rate is US$40.00 per day (space is limited).